Christa Cassidy is a fiery 13-year old cowgirl who finds it easier to get along with horses than people. Maybe that's why she is willing to risk everything in order to keep the wild mustang herds near her home in Nevada free from capture... especially a legendary band of mustangs known as the Lost Herd. Christa inspires her sister, her best friend, and her best friend's brother (her first crush) to join in her quest. When a tragic accident breaks Christa's heart and her spirit, only the Lost Herd can bring her back to life. But then a storm traps the mustangs in a flooded canyon and Christa will need to bring a divided town together in order to save them. Inspired by a real horse rescue, this story is about Christa's fascination with an endangered herd of wild horses and how her special connection with them inspires her to rise up to become a horse advocate at fourteen, whose passion and heart move an entire town to take action. 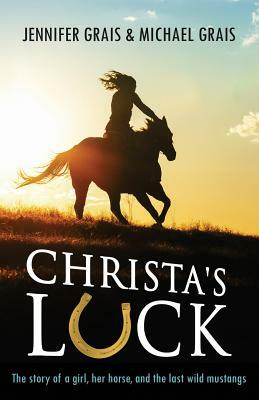 Christa's Luck is an epic adventure story of courage, friendship and freedom.